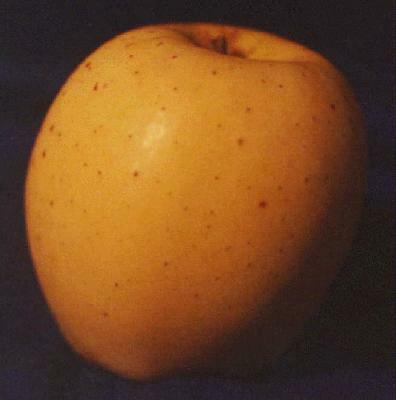 Developed in Japan as a cross of Golden Delicious and Indo. Called "Crispin" in England. Taste and texture are similar to Golden Delicious, but with better keeping qualities. For months, Mutsu will tastes like a crisp, juicy Golden Delicious picked fresh from the tree, not like the soft mushy Golden Delicious that is so often found in grocery stores. Larger than Golden Delicious, Mutsu ripens in mid-October in the Willamette Valley.